Back in 2013 a short film about a father trying to find protection for his infant daughter during the zombie apocalypse titled Cargo was released online, and quickly amassed millions of views. It has since been viewed by millions more, bringing its current total view count to over 14 million. The short was so popular, in fact, that it was eventually announced that a feature film adaptation was on the way. We saw some images from the movie (which stars The Hobbit and Sherlock star Martin Freeman) a little over a year ago, and now Netflix has released an official trailer. You can read more about Cargo and watch the trailer below. The film is written by Yolanda Ramke and directed by Ramke and Ben Howling. Also starring is Natasha Wanganeen and David Gulpilil. If interested, you can click right here to watch the original short film. 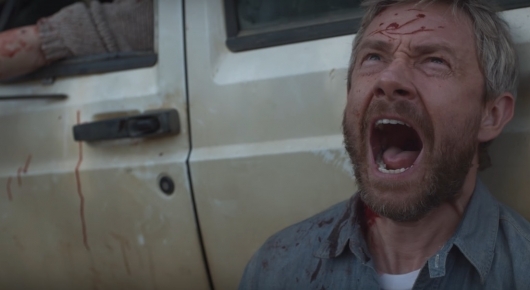 Cargo will be released on Netflix on May 18th.